£2 per person. Both sessions are open to all (there’s no membership system) – come and leave anytime within the period; or just come and watch and join us for a cuppa. No talent needed. No special clothes (just wear sensible shoes). Check this page before coming just in case we have to cancel for some reason. Yes, Warleggan has its own table tennis table, and some bats and a good number of balls as well. Anyone is welcome to pop over to the hall any Tuesday, 7 pm onwards, and join in; or any Sunday morning from 10.45 am. £2 per person – goes into a kitty, and from that the hall- and equipment- hire for the sessions are covered, and tea/coffee. Turn up and leave anytime. No experience needed – most people hadn’t played since childhood. 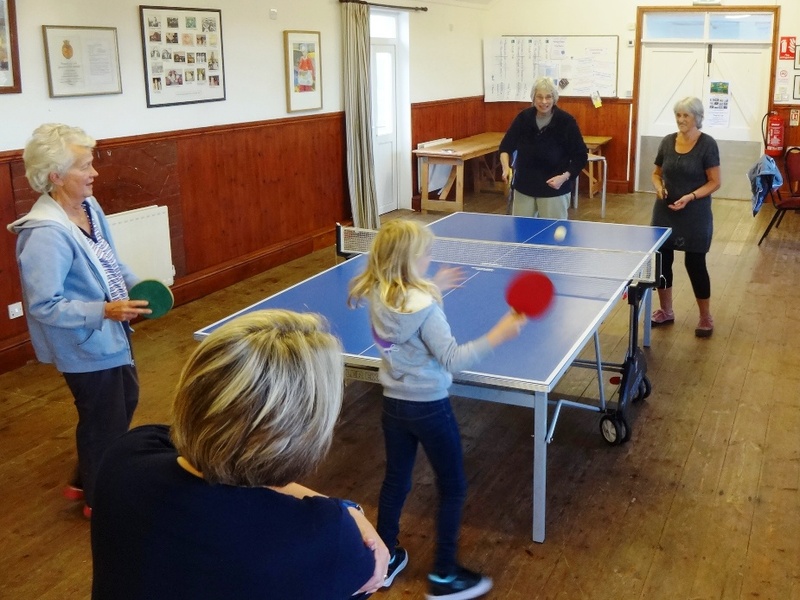 The table can also be used at any other time that the hall is not in use, for £12 per four-hour session, or £6 for two hours (includes both basic hall hire and equipment hire). Contact via this website*. The equipment was bought second hand by the Jubilee Hall as a way of celebrating the fantastic success of the Big Do in 2014, which as well as giving us all a great afternoon out, realised a profit of over a thousand pounds. Thanks go the Hall Committee for their support, and to Annie O for her nudging!